Puerto Rico or the so called “island of enchantment,” is a place of rich history and culture, where the beaches are as blue as the sky and the summer weather is all year long. Many people think that Puerto Rico is a paradise under the sun and just sipping piña coladas on the beach; but there is so much more. When it comes to its history, it all started when the famous Italian explorer Christopher Columbus arrived on the island in 1493. Many people think that he discovered the island, but there were already indigenous people living in the island called Arawak or “Tainos”. Nevertheless, the Spaniards occupied the island and Puerto Rico became a Spanish colony. It remained as a colony until 1898, when the United States came along and took the island from the Spanish under the treaty of Paris. As a result, Puerto Rico is still a U.S. territory as we speak, were 3.5 million people living on the island are U.S. citizens. The people of Puerto Rico are classified as second class citizens, because they cannot vote for the president of the U.S. nor have representation in the U.S. congress. It is quite ironic because many people of Puerto Rico have served in the U.S. army since World War I and still the colonial status has not changed. The people of Puerto Rico have voted in the past that they want statehood and the U.S. congress is not committed to resolve the issue. But as they say, “it is what it is”. 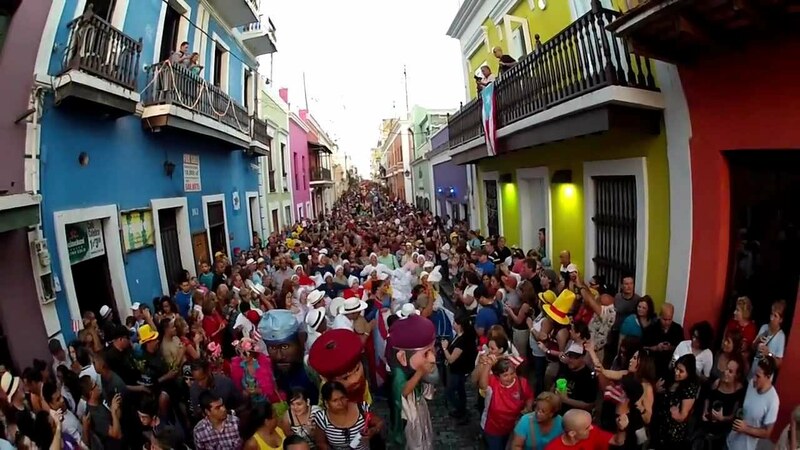 Aside from politics and colonial issues, Puerto Rico has rich culture that many people do not know about. Puerto Rico has a combination of Spanish, African and Indigenous roots were the music, food and the heart of its people is what makes this small island unique. One of the most beautiful places of the island is located in the heart of the capital called Old San Juan, where you feel that you are back in time. It is a fortress city, where the Spanish established themselves in the 1400’s. As you walk around and you step into Old San Juan’s blue cobblestone streets, it will feel like stepping out of a time machine. “Once the crown jewel of the Spanish Empire in the Americas, the walled city still preserves its stunning colonial architecture, ranging from imposing fortresses to brightly colored buildings”(See Puerto Rico.com). When talking about the local food, it is out of this world! Particularly eating seafood on the coastline or spit-roasted pork in the deep of the mountains. Puerto Rico has a lot to offer when it comes to the culinary arts. Most importantly people are genuine and will do anything to make you feel happy and at home. Puerto Rico’s hospitality charms everybody that visits the island as people treat you like family and party until the sun rises. Where everything turns into a party no matter what happens. As a fact, Puerto Rico has the longest Christmas in the world, where the food and music don’t stop until the big festival ends in January 18th. This tropical island is a great place to visit and explore, its people and their charisma, its culture and energy make you feel their sense of unity and pride. It is an enchanted place and you will want to stay longer and never leave the beautiful island of Puerto Rico, the shining star of the Caribbean.